In episode 19 of KBS 2TV drama “Love Rain” aired on May 28th, 2012, Kim Yoon Hee (Lee Mi Sook) who is facing the danger of become blind is leafing through the photo album of her daughter Jung Ha Na (SNDS member YoonA) before undergoing the eye surgery. 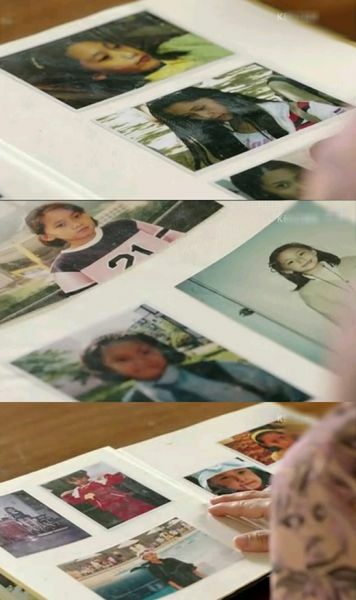 While Yoon Hee is watching the photos with memories of daughter during childhood, she muttered, “Must remember all these, the things that I want to see are too many.” The album that Yoon Hee is looking at contains the actual photos of YoonA during her childhood in reality. 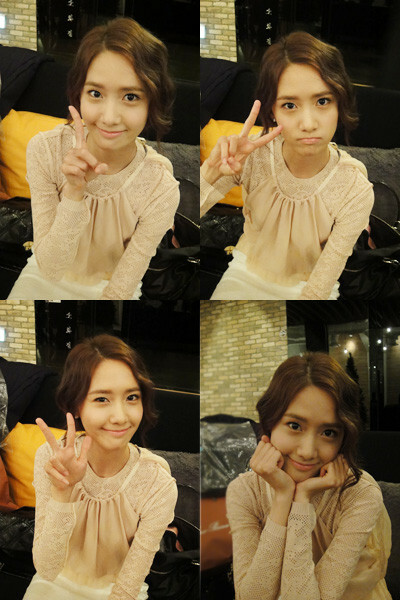 In the photos, YoonA was either combed with short hair, or combed with two claw braid, looking very cute. Especially that when young, her look was not much different from her current look, proving again her innate beauty. Netizens commented, “Surprise to see the real photos of YoonA,” “Too pretty,” “Really worthy of a natural beauty,” “It’s look before debut,” and so on.